As writers, one of the things that lies at the heart of our intentions is connection. We write books that we want people to read. We share our thoughts, our fantasies, the products of our imagination, sometimes our biggest secrets and the deepest angst in our souls - and we put it all out there for the world to read about. ‘Only connect,’ said EM Forster, and, over a hundred years later, this is still what drives us. And I don’t think this desire is restricted to writers. We all want it. That’s why telephones were invented. It’s why the internet has pretty much taken over the world. It’s why Facebook, Twitter, Instagram, Snapchat etc etc etc are as massively popular as they are. They allow us to reach out, communicate, share, meet, interact…connect. So what happened? How did these means of connection suddenly become the very things that keep us isolated and disconnected? Actually, it didn’t happen suddenly at all. It sneaked up on us so gradually that most of us don’t even realise that it has happened to us. 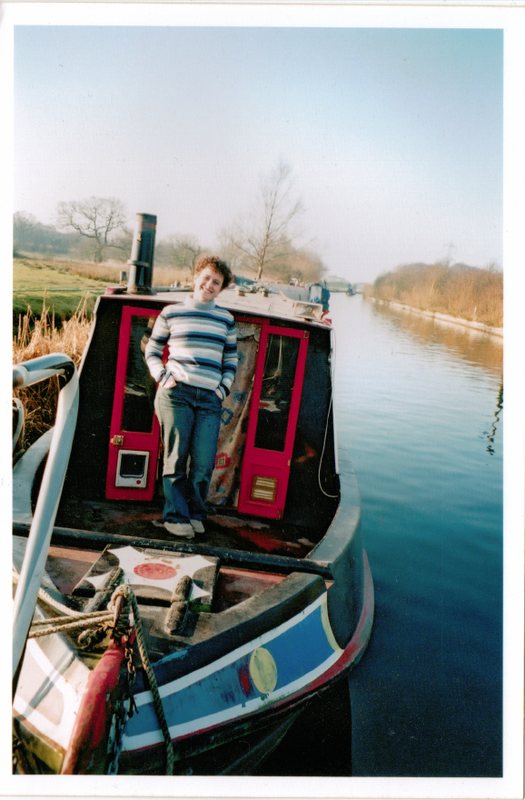 Me on my beloved boat, Jester. Crikey, my hair was short back then. I remember my first mobile phone. I remember the first time someone showed me how to send an email – and my awe at the notion that the recipient could read it from anywhere in the world moments later. It was all very new at that time, and I’m glad that I am part of a generation that still remembers a time before these things were taken for granted. I still am in awe of the internet and what we can do with it. But sometimes I wish we could all take a couple of steps back. Phones today can do SO much – and the problem is that, nowadays, we so often use them to separate ourselves from the world around us, rather than connect us to it. I was catching a train yesterday. Whilst I waited for my train, I looked around. On the platform opposite there were about eight people. A few of them in pairs and a few on their own, waiting for the same train. EVERY SINGLE ONE of them was looking at their phone. Every one. Not talking to the person they were with. Not smiling at a stranger. Not noticing anyone or anything around them. Each of them was locked away on their own with their screen. The best decision my partner and I made (other than to buy 'Early Entry' tickets and get a great spot!) was to leave our phones at home. We met a couple of guys on our way in and became instant friends. The four of us watched, listened, sang, danced and loved every minute of the concert. I took it all in. Gaga, the dancers, the crowds, the outfits, the music. I was there. But were they? Were they really there? Generic photo off the internet - as I didn't have my phone/camera to take a pic! We’d been chatting with a young woman beside us before the show began. Once it started, she was one of those who brought her phone out. At one point, when Lady Gaga was behind us, the woman videoed her back. At another point, when Gaga was too far away to get a decent shot, she videoed the dark stage with the blurry figure at the edge of it. When Lady Gaga and the dancers were out of our sight completely, the young woman held her phone out at the big screen and videoed that! She wasn't the only one; far from it. All these people around us, so busy framing their shots, zooming in, zooming out, focussing, refocussing, they weren't even aware that in their haste to show they were there, they actually weren't there at all. They were watching an event via a tiny screen held up in the air that they could have watched for real if they put their phones away. But I can’t help thinking that we have to start reversing things before it’s too late and we forget the art of human interaction altogether. At the risk of sounding like the oldest fogiest old fogey in the room…. What happened to looking around? To conversation? To gradually getting to know someone? I’m not against online dating. Not remotely. I’m not, in fact, against any of this, and like I said, I'm as guilty of iPhone overuse as the next person. But I'm concerned by the constant speeding up of everything, and the taking us out of our surroundings to make us look at a screen instead of the things and the people around us. So here’s my challenge – and I make it for myself as much as for anyone reading this. It’s not a super-radical idea. It’s about taking small steps. Each day, use your phone a tiny bit less than you used it the day before. Make one decision a day where you say, ‘No, I won’t take my phone out of my pocket, I’ll smile at a stranger instead.’ Or one occasion where you decide, ‘I will allow myself this experience without having to share it online afterwards’. Just one small decision a day. Before we know it, we’ll all be connecting up again. 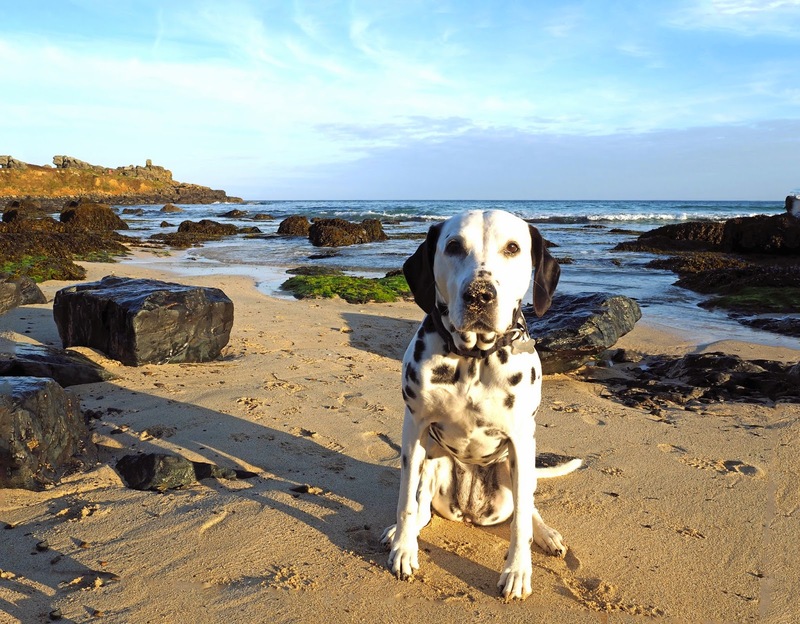 On which note I’m off for walkies with my partner, to chat, look at the waves, feel the salty air in my face and throw some stones for the dog. And no, I’m not taking my phone. Absolutely. This is why I love camping in wild places. I enjoy the tech connecting, but I need a good amount of time completely way from it too, to kind of rebalance. Nice post, Liz! I think one of the best decisions I've (unconsciously) made has been to not upgrade my mobile phone. It answers calls. I send texts with it, but because I'm on pay as you go, I only send necessary texts, such as 'I'll meet you at the cafe at ten.' etc. (Trouble is, everyone else who has unlimited texts will keep sending me random messages and then worrying why I don't reply....). I hate that everyone seems surgically connected to their phone. It used to be seen as the height of rudeness to have your phone in view during a conversation - now people will regularly pull their phone out and check facebook or their emails while you are talking. 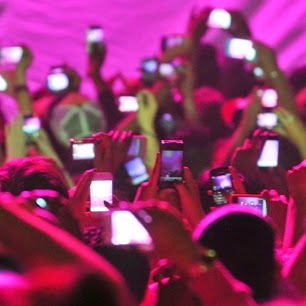 The thing about viewing a concert or an experience through video/photo is very true - lots of people do it. And all the photos turn out the same anyway - blurry, dark, a right mess! Why would anyone want to miss out on an actual experience simply to have the same rubbish photos as everyone else took? 1: I never listen to the music stored on it when I'm walking the dog. I either take the time to phone the 'oldies' or I talk to other dog walkers. 2: I never play games while I'm waiting. I get out my notebook, makes notes or sketch. I've ended up talking to a budding author because they saw me jotting things down and a fellow traveller because they were a 'proper' artist. 3: I've given up taking photos at parties, gigs etc. as the results are always crap. It's not been a conscious decision to leave my phone in my pocket. I think it's because I spend so much time on my own writing that whilst out I want to get the chance to interact and talk. And anyone who knows me well knows I love to talk. Or maybe that's just me. Or my smile. Or my face. You're so right Liz. I've noticed my kids have started asking me to take photos of or video exciting situations we find ourselves in and I've had to just stop and encourage them to enjoy the moment while it's happening. It's so sad. I was at Wimbledon a couple of years ago and the person in front of me held up their iPad to record the entire match so all they (and the person behind them) could see was the screen. They might as well have stayed at home and watched the match on TV! I'm as guilty of phone-gazing as much as the next person so it's good to be reminded to look up and around sometimes! Yes, Sue Price - and there's that moment when you smile at somebody and they ignore you, and as they walk past, there you are with your smile all spruced up but with nowhere to go! And do people ever actually watch these videos again, or revisit those photos? And if they do, don't they feel a crushing disappointment at how small, remote, fuzzy and UNREAL the images appear? And then they look for the real memory, but of course they can only recall the tiny image and the tinny sound. Whereas I can still vividly see Chris Squire of Yes hammering at his bass guitar, from my second-row seat at the Apollo. When I give someone a smile, they almost always smile too. I know exactly what you mean but it is a bit scary going out without your phone. It's a bit like going out half naked! I know what you're saying Liz - had the same experience on a riding holiday recently, trying to take photos whilst galloping along a beach. Got some great pics, but ended up at the end of the 5-mile beach having not enjoyed the ride because of concentrating on not falling off/not dropping camera in the sea, etc. Left camera at home the next day... enjoyed the riding a lot more! My phone does not take photos or do email, and I often leave it at home. Lovely post Liz. Reminds me of going on holiday to Thailand twenty years ago. We took a sleeper train to Bangkok and I woke at dawn and looked out to see a crocodile of monks in orange robes walking through a paddy field, a sea of mist rising to their knees and the first rays of the sun gilding their faces. When I got home I recounted it to some friends, and commented that it was a shame that I didn't have a picture. One friend replied "No, because then I'd just look at it, but by describing it, you've made me experience it."